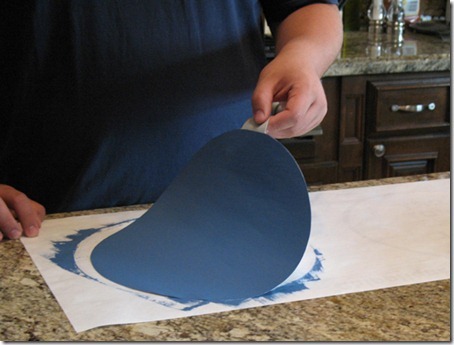 How To Paint Color Samples. Do not leave a white edge! 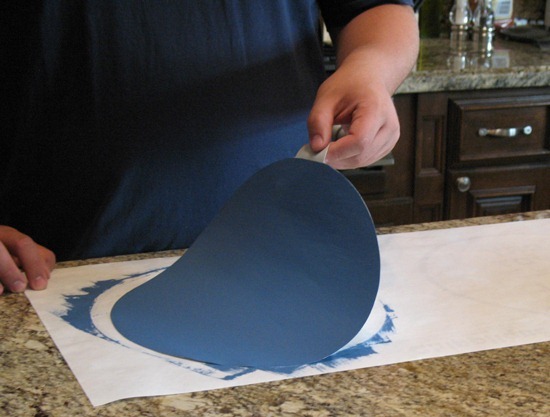 Many will tell you how to paint color samples and to leave a white edge around the border. The Intention of leaving a white edge is to create a neutral boundary between the color currently on the wall and the new color you are sampling. 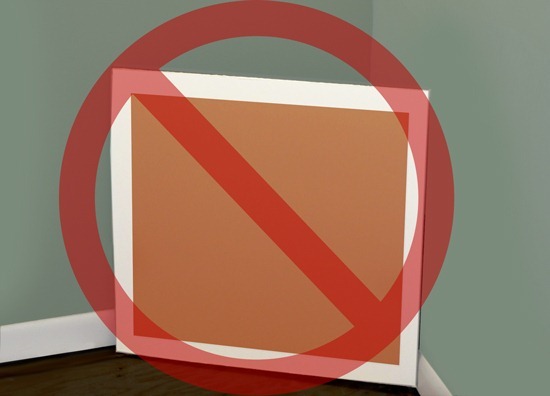 While the color of the material you are using to paint the sample might be described as “white”, you have to consider its brightness and whiteness. Brightness refers to the amount of light it reflects. 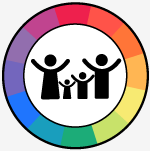 Whiteness refers to the color of light reflected, yellow, blue, pink, or green, could also be called hue bias. All colors of white do the same thing. White overpowers color swatches and makes them appear more grayed down, not so bright and intense. Underestimating a color’s brightness and intensity is the #1 mistake people make when choosing paint colors. “It’s too bright” is the #1 reason people give as to why they don’t like the color they chose. 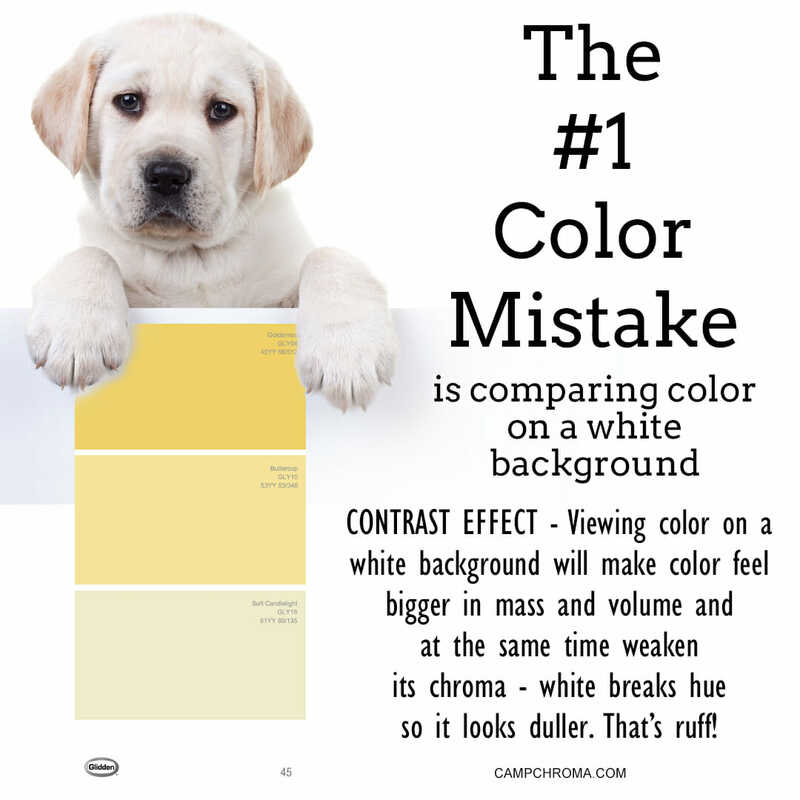 A white background or border will fool you into thinking the color is not as bright or intense as it actually is. Despite what others say about how to paint color samples, white is not the good guy in this case and helps no one. Don’t create unnecessary color chaos! Leaving an edge of white is adding another color to the choosing paint colors equation — not helpful and that’s not how to paint color samples. Furthermore, the white edge strikes a hard line of contrast. This severe line of contrast between the current wall color and your color sample draws focus in all the wrong ways and is visually distracting. DO paint all the way to the edge. I designed Swatch Right™ Paint Color Sample Decal with a tab. Hold tab to stabilize Swatch Right™ and brush all the way to the edge. Only Swatch Right™ and its unique circle shape can help you zero in on prospective paint colors. 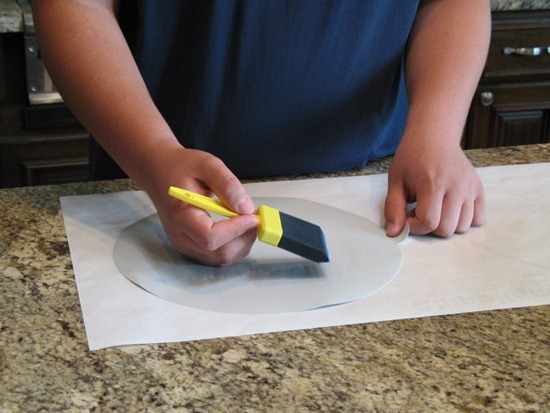 One reason people do not paint samples all the way to the edge is because they don’t have the work space to do so — their sample material is also their work surface. The Swatch Kit comes with 3 decals and 3 work mats. The work mat provides a large 15” x 30” work surface so you have plenty of room to paint. I’m a professional architectural color consultant. The tab and work mat are examples of how I engineered my expertise into Swatch Right™ and The Swatch Kit to help you choose paint colors.